Gender & Women’s Studies Meet & Greet. 4:30 p.m. – 6:00 p.m. in the Falvey Hall Lobby. Come join the Gender and Women’s Studies program to meet current students, faculty, and staff and learn about the program and upcoming events. The final Falvey-hosted Food and Justice Week event is tomorrow! Cultural Studies Food and Justice Week: Megan Haupt on Sugar. 6:00 p.m. – 7:30 p.m. in room 204. The Villanova Community is invited to educate their palate and their mind during the 3rd annual Cultural Studies Food and Justice Week involving tastings and talks on food justice around the world. Megan Haupt will recount the brutal history of sugar, how sugar compares to artificial sweeteners and the way sugar affects the human body. Food samples will be provided at this ACS-approved event. When designing Falvey Memorial Library, architects planned a doorway between Falvey Memorial Library’s third floor and Falvey Hall (aka “Old Falvey”). Those plans changed, but a recess in Falvey’s third-floor wall remains. Falvey Hall’s exterior stonework is visible at the back of this niche. 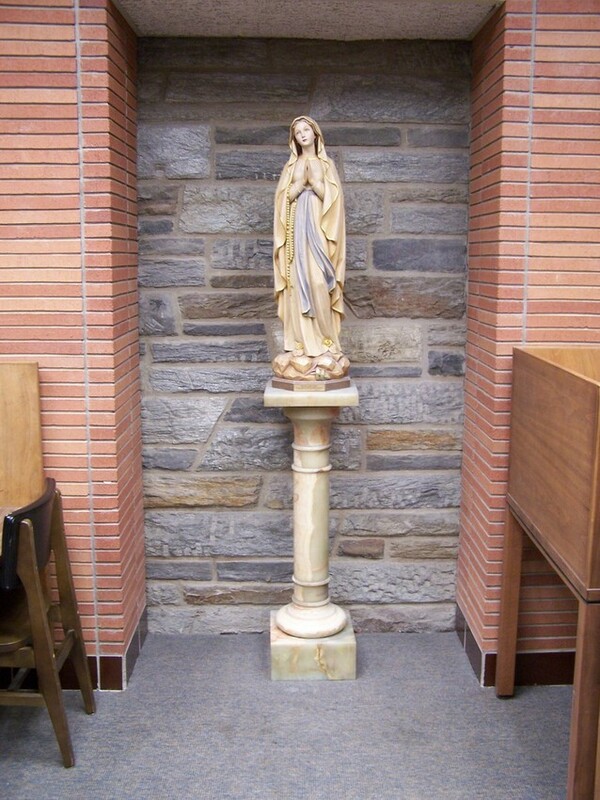 A statue of Mary, the mother of Jesus, now occupies that alcove. 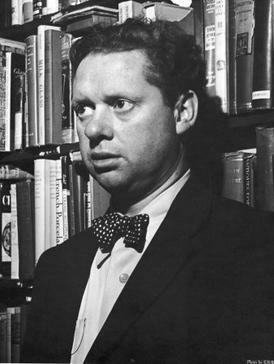 On this day in 1914, Dylan Thomas was born. Thomas was a Welsh modernist poet perhaps most well-known for his piece “Do not go gentle into that good night.” The poem is a villanelle, nineteen lines divided into five tercets followed by a quatrain. Just yesterday, the BBC reported that a long-lost Dylan Thomas poem has been recovered and will get its “first performance in 70 years” in London on Friday.